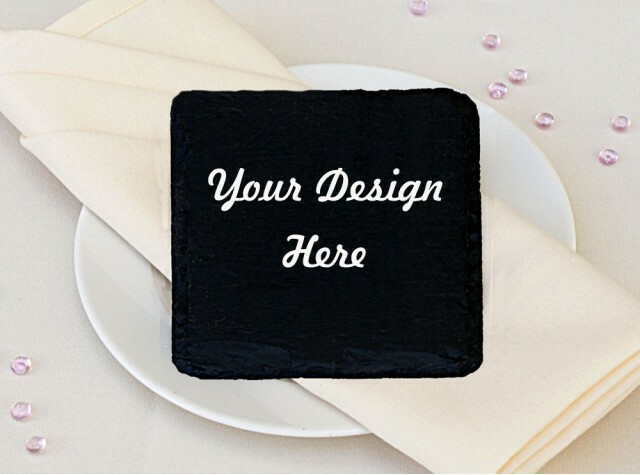 When it comes to your Wedding, the little finishing touches can make all the difference and should be as special as the day itself. 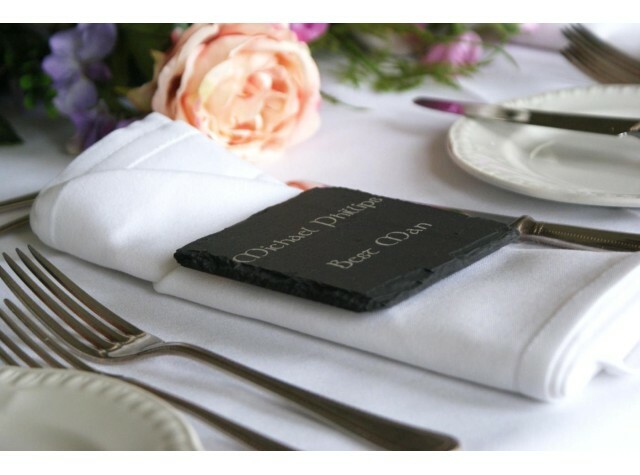 Our hand cut, personalised Welsh slate coaster keepsakes guide your wedding guests to their seats and also double-up as a unique and personal favour. Prices per item differ, depending on quantity required. 500 million year old Welsh slate from Blaenau Ffestiniog with protective cork pads.